Orgyen Menla (Tib. ཨོ་རྒྱན་ སྨན་བླ་, Wyl. 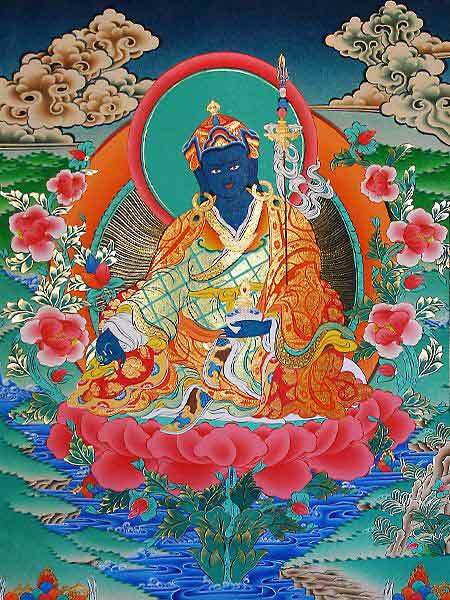 o rgyan sman bla), Guru Rinpoche of Medicine, is a form of Guru Rinpoche manifesting as a Buddha of Medicine. In the Dudjom Tersar lineage, Orgyen Menla is the outer form of the Lama, and the practice is called Orgyen Menla Dütsi Bum Zang. This page was last edited on 15 July 2014, at 21:45.